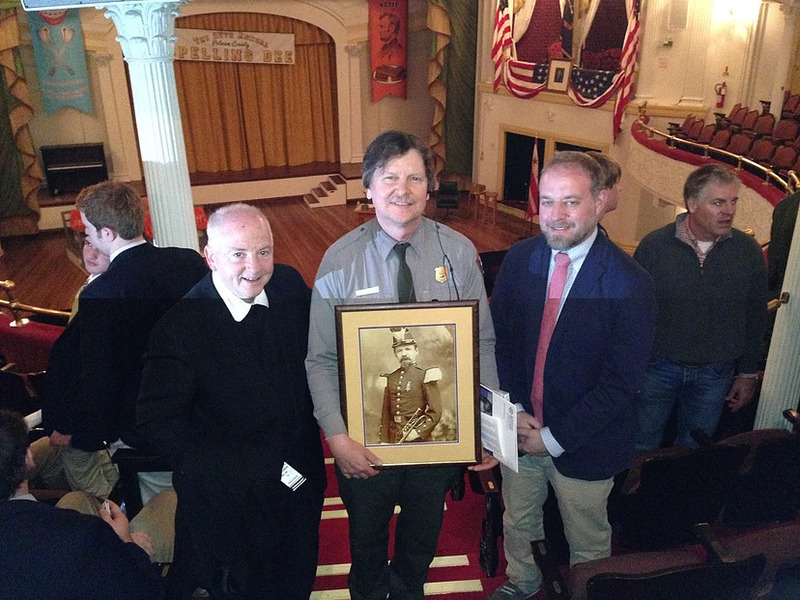 On April 1, 2017, I spoke at the annual Surratt Society Conference. The topic of my speech revolved around the hidden histories of some of the minor characters in the Lincoln assassination story. One of the subjects of that talk was Spencer M. Clark, a witness at the conspiracy trial with a very scandalous past. The following text comes from my speech. 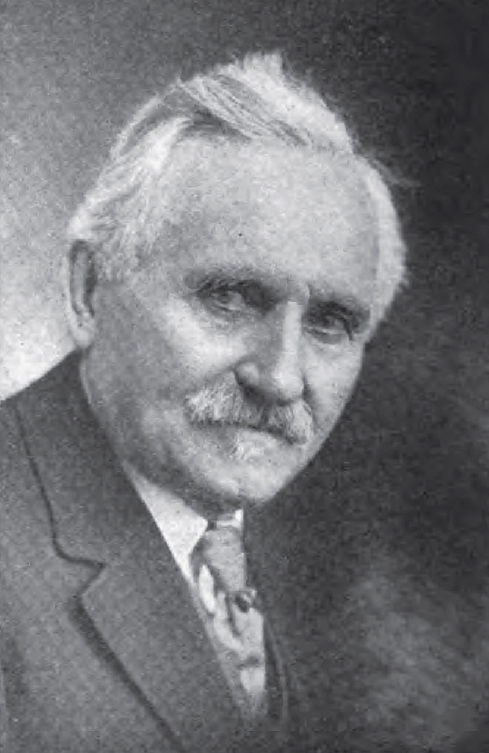 Click here to read about another subject of the speech, James P. Ferguson. 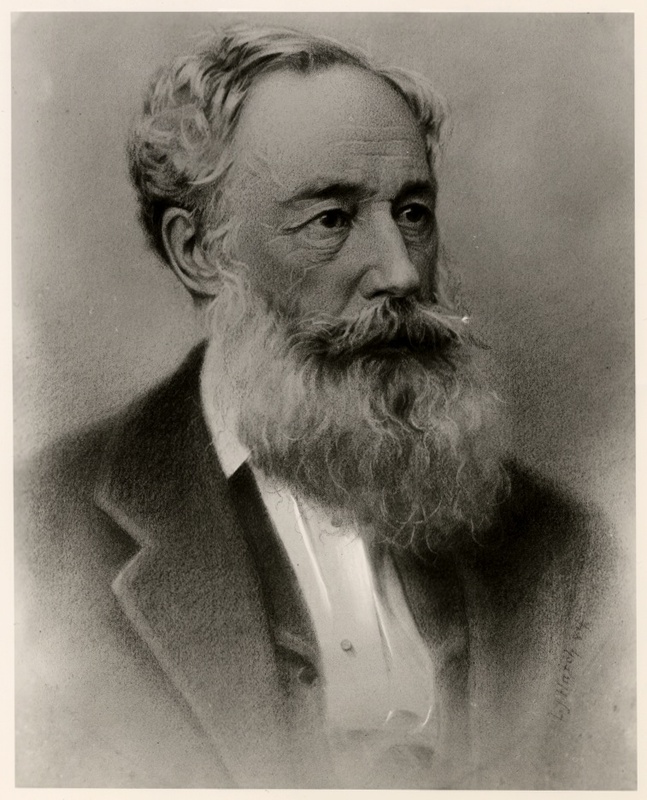 Spencer Morton Clark was the very first superintendent of the U.S. Bureau of Engraving and Printing. At the trial of the conspirators Clark was called to testify regarding the pair of boots that had been confiscated from conspirator Lewis Powell. 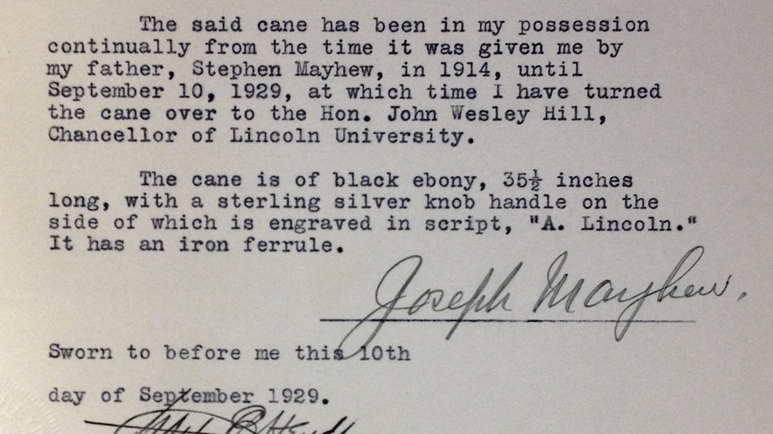 The day before Clark gave his testimony he was given one of Powell’s boots by the Assistant Secretary of the Treasury and was asked to inspect them. Inside one of the boots was a mark of ink. After examining the boot under a microscope, Clark came to the conclusion that the mark of ink had been put there to obscure some sort of writing that lay beneath it. Using a bath of oxalic acid, Clark was able to remove the top layer of ink. He was clearly able to see the letters J W then a letter that was either a P or a B. He also determined the last two letters were th. 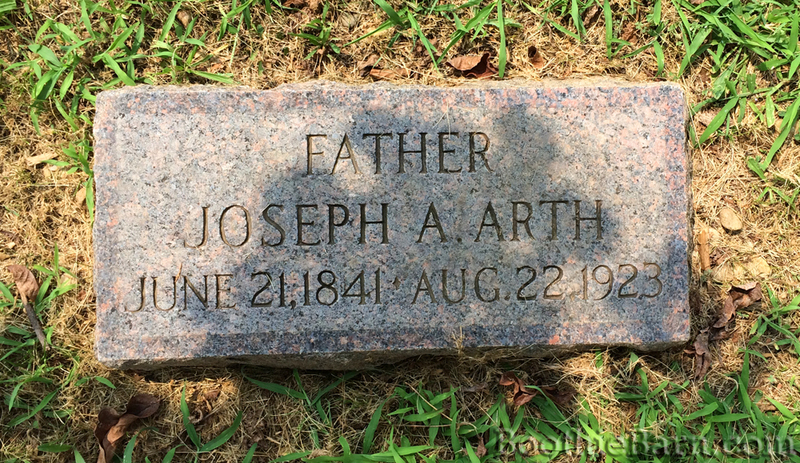 Clark concluded that the written word that had been cover up was the name J W Booth. Unfortunately Clark left the oxalic acid on too long and the ink from the name was also dissolved away. However, Clark was supported in his assessment by two other treasury workers who were with him. 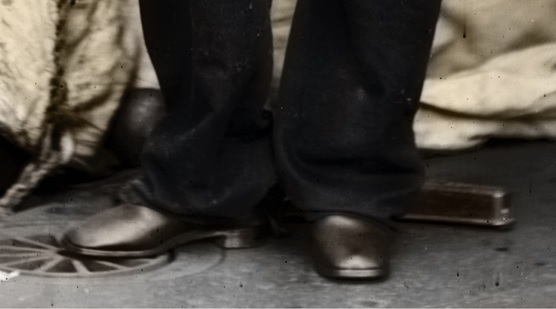 Spencer Clark’s testimony at the trial was brief but worked to prove that the boots worn by Powell had either been owned or purchased by John Wilkes Booth. 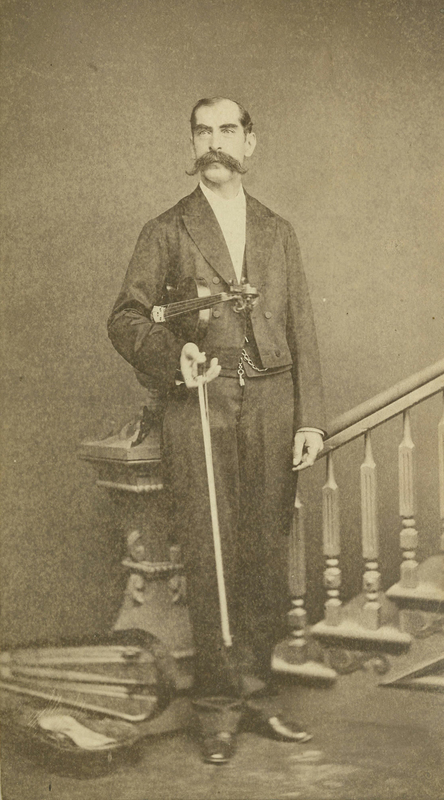 Spencer Clark was born in Brattleboro, Vermont in 1811. As a young man Clark entered into many business ventures all of which failed. He declared bankruptcy twice before gaining employment in D.C. in a position he was not qualified for. 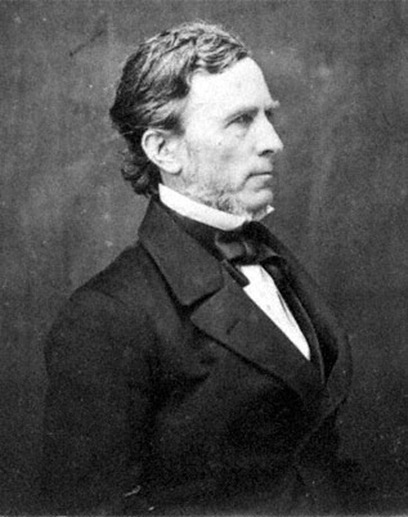 In 1860, Clark was made the Acting Engineer in the Bureau of Construction for the U.S. Treasury Department despite the fact that he was not an engineer. However Clark made a good impression on Treasury Secretary Salmon Chase and was retained. Clark’s employment in the Treasury department came at a monumental time. Prior to the Civil War the only legal tender in the United States were gold and silver coins produced by the Treasury. These coins were known as specie. However the costs associated with the Civil War were so high and the amount of gold and silver was limited. Lincoln and his government had to look elsewhere to find a way to finance the war. The decision was finally made to introduce paper notes to serve as legal tender bills. This is commonplace to us now, but back then it was highly controversial and even Lincoln only agreed to it as a necessary, yet unfortunate, war effort. The treasury at this time did not have the facilities to print their own notes and there was great fear that the practice of printing money would fuel corruption within the government. Therefore these early notes were printed by private companies and then sent to the Treasury in sheets. In his position in the Treasury, Clark and his clerks were charged with cutting out the notes, signing them on behalf of the treasury officials, and the imprinting each note with a seal. 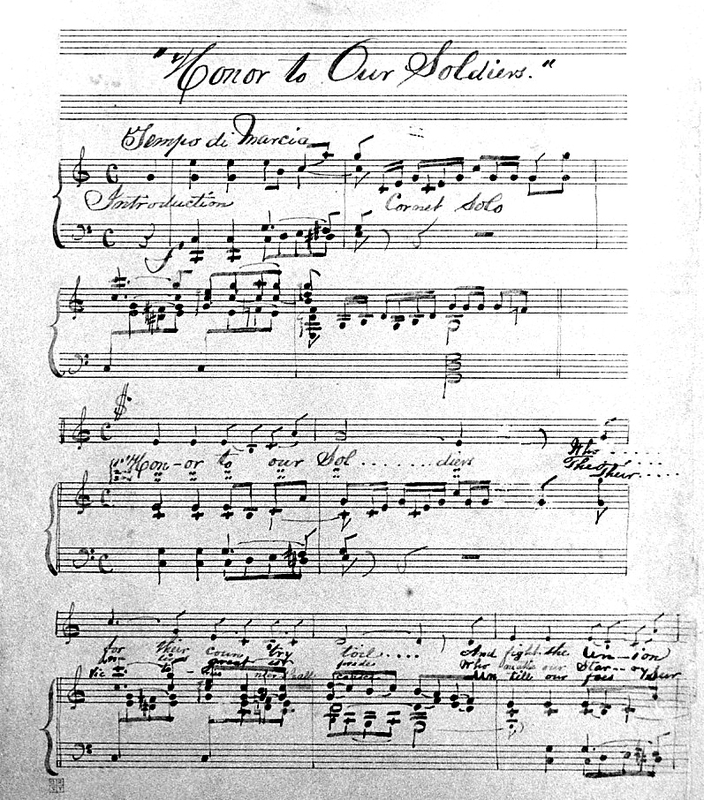 Clark soon required a larger work force to handle the increased output of the notes. With most able-bodied men off fighting in the war, the Treasury became one of the first government agencies to hire a large number of female clerks. The women who joined the ranks were often teenagers and young women whose fathers were either off fighting or had been killed. The Treasury sought to hire only girls and women who demonstrated a true need for employment to help provide for their families. Over 300 women found employment in the Treasury department before the end of the war. In July of 1862, Clark and his department were investigated by a Congressional committee over the government’s contracts for the notes and qualifications of its workers. The committee determined that the contracts signed by the government with the private printers resulted in an extravagance in the expenditure of public money. They also found that Clark was not qualified for his position and suggested his removal. 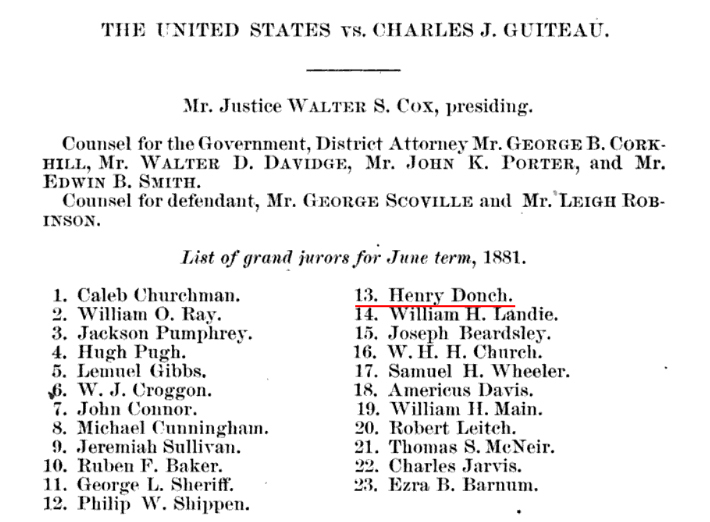 Clark was retained however due to his familiarity with Secretary Chase and his other superior, Francis Spinner, who was the Treasurer of the United States. In August of 1862, Clark was authorized to purchase the machines necessary for the government to print some of its own notes rather than buying all of them from private companies. 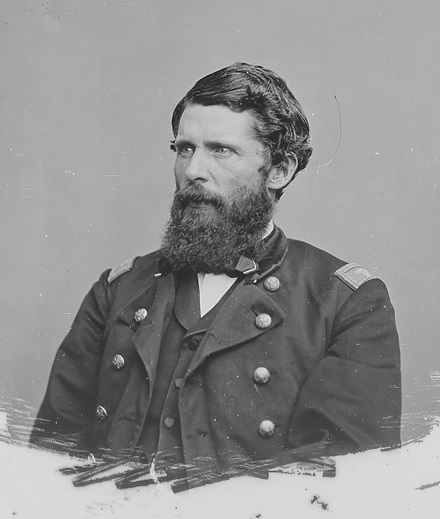 This decision essentially established the Bureau of Engraving and Printing and resulted in Spencer Clark becoming its first Superintendent. Clark supervised the production of the $1 and $2 notes. Clark’s new bureau was also tasked with the printing of the government’s new fractional currency. These bills were worth less than a dollar and were meant to supplement the dwindling supply of specie. In the initial run of fractional notes only Thomas Jefferson and George Washington appeared. Clark, it should be noted, did a good job of instituting better security measures to impede counterfeiting. In the second issue of fractional currency, Clark had a copper circle placed around the head of Washington and Jefferson. If the bill was photographed, this ring would come out as black, thwarting the counterfeiter. Yet despite the positive aspects Spencer Clark brought to his position, there were also many negative aspects. Clark’s investment in the government’s printing presses proved to be misplaced. The presses Clark acquired literally came from the lowest bidder and the quality was lacking. Broken presses were common and delayed their production. Clark was also very poor in his book-keeping. His incomplete records of production and distribution were troublesome to members of Congress who were already worried about the corruptible nature of printing the country’s money. In late 1863, Secretary Chase began hearing rumors about his printing department. These rumors were not about poor books or broken machines, however. The rumors being spread were about Clark, his female employees, and “gross immoralities” that were occurring under his supervision. Chase, who still held aspirations of his own to become President, decided to look into the matter in order to prevent any political enemy from discovering something that might damage his future. 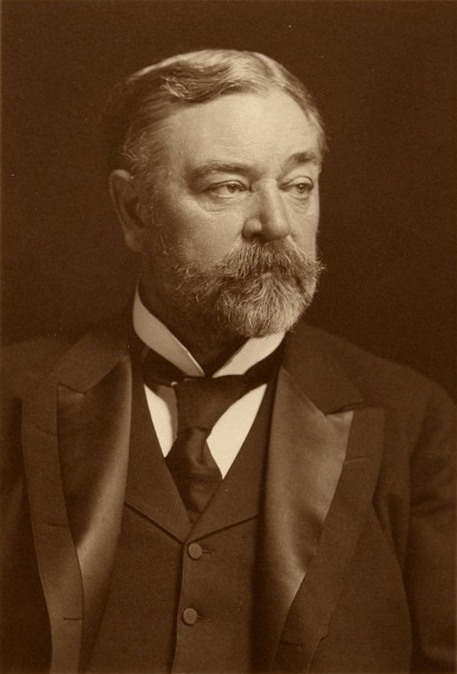 Chase requested that Secretary of War Edwin Stanton lend him a capable investigator to look into the rumors. Specifically Chase requested the assistance of Lafayette Baker. Chase would come to regret his request to have Baker investigate. 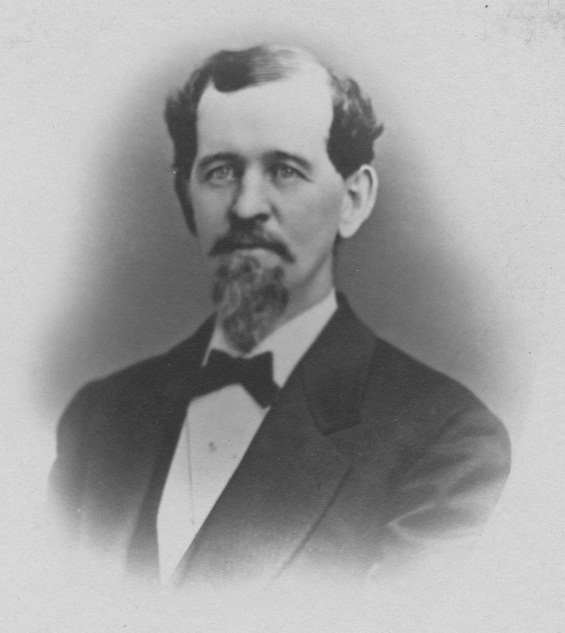 Baker had served as a detective, special agent, and finally as a special provost marshal under Stanton. While Baker made himself useful to the government, his methods and character were highly questionable. 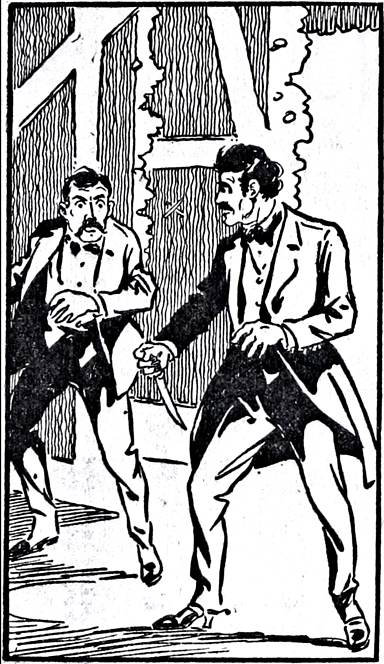 He was notorious for throwing those he believed of wrongdoing into the Old Capitol Prison without charge. The declaration of martial law during the war gave him the authority to do so. 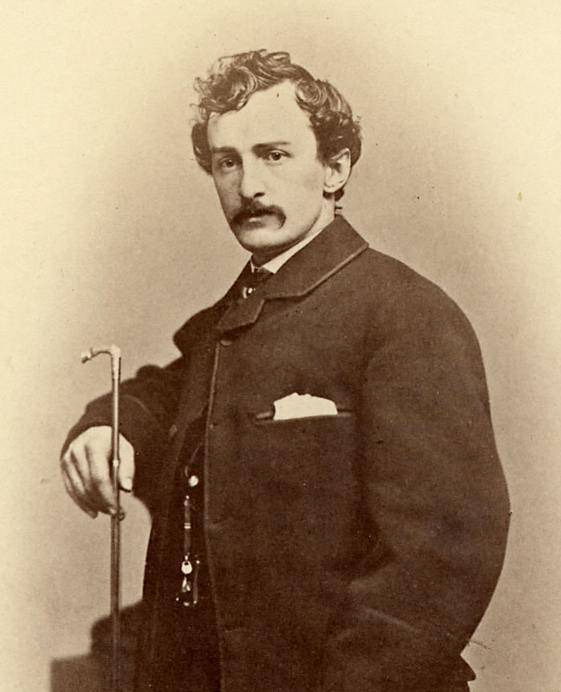 After Lincoln’s assassination in 1865, Stanton would call on Baker again to help manage the manhunt for John Wilkes Booth and his conspirators. 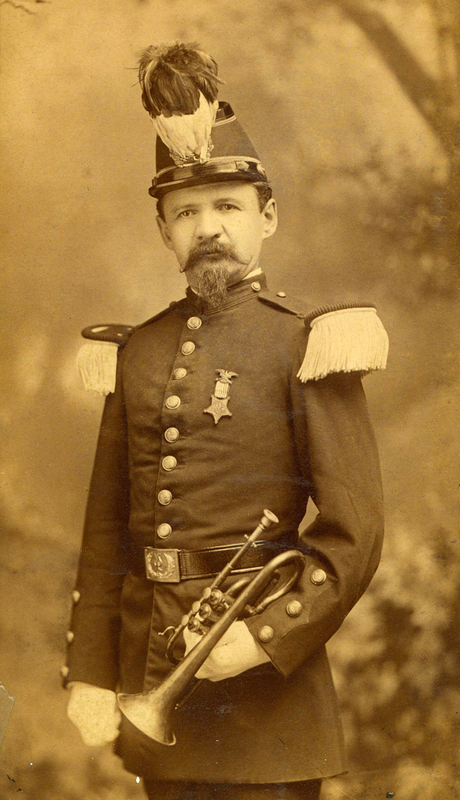 Lafayette Baker committed himself to his investigation into the Treasury and opponents of the administration could smell the scent of scandal brewing. Salmon Chase had hoped for a quick exoneration of his subordinates but that was not what Baker had in mind. Baker believed that the public demanded a full and detailed inquiry and he would not allow himself to be a tool for Chase’s benefit. Baker was far too much of a loose cannon to do Chase’s bidding and wrap up the investigation quietly. While Baker charged a couple of Clark’s clerks with corruption, his biggest accusations were about Clark himself whom he accused of committing sexual misconduct with his female workers. Baker gathered statements by female employees that added up to a very damning picture against Clark, a married man. Lafayette Baker did not heed this woman’s request for confidentiality. Slowly, different pieces of Baker’s investigation were being leaked to public. Secretary Chase was seeing the reputation of his department and himself sullied. Chase suspended Clark but stopped short of firing him. Chase wanted Clark to resign but the latter would not go so easily. “I think it right that the country should know that your confidence in my official management has not been misplaced,” Clark wrote in an open letter to Chase that was published in the newspaper. Clark claimed that the charges against him were politically motivated since he was a hold out from President Buchanan’s administration. Essentially Clark set it up that if Chase moved to fire him, it would be far more damaging to Chase and his prospects as it would be confirmation that he had allowed things to get so out of hand in his department. Chase was trapped. The allegations against Clark were so detailed and extensive that they were undoubtedly true, but Chase had to save face. And so Chase turned to the only thing left of him, partisan politics. While Baker’s investigation failed to find any major examples of monetary corruption in the Treasury department, the reports surrounding Clark’s sexual malfeasance became blood in the water to opponents of Lincoln’s administration in Congress. An investigative committee was created. Chase however, was connected enough to make sure that the majority of the Congressmen placed on the committee were friends. 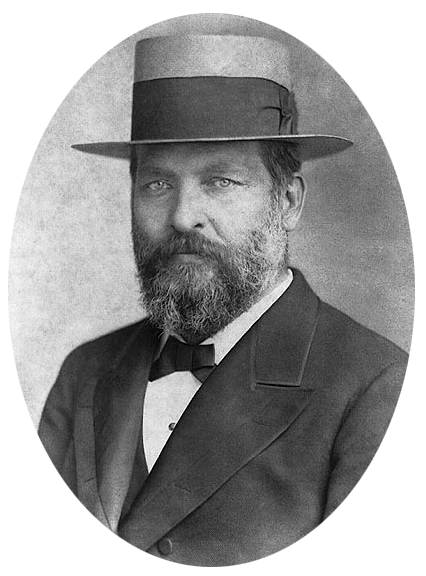 While there were a few token Democrats to provide the illusion of impartiality, the chairman of the committee was Republican representative, and future President, James Garfield. Chase and Garfield had become extremely close with Chase considering Garfield to be the son he never had. The Republican majority committee worked extensively to attack Baker’s investigation. Each political party now found itself in a strange place. The Democrats, who loathed Baker and his methods, jumped to Baker’s defense while the Republicans, who had relied on Baker many times to be the shady means to achieve their ends, turned against him. Baker, feeling betrayed by his friends released all the pages of his scandalous findings to the public. Many newspapers would not print the reports deeming them too depraved to print, but others published the ladies’ statements in all their depraved detail. 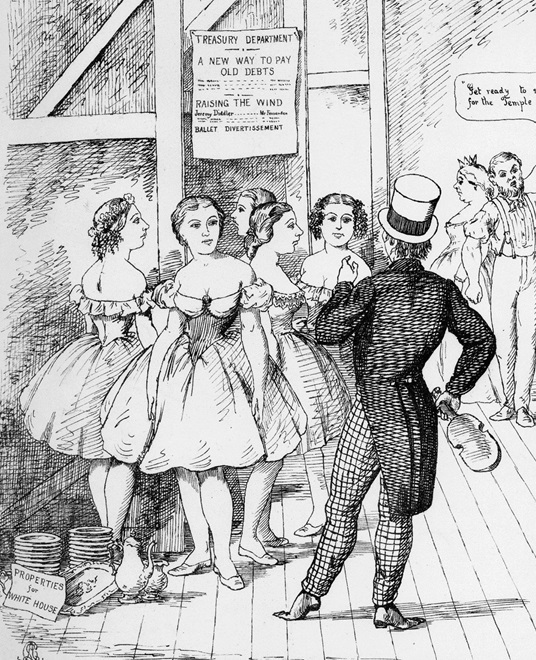 A political cartoon of the day even included the scandal with a brazen gentlemen eyeing a group of young ballerinas preparing for the Treasury Department’s production of “A New Way to Pay Old Debts”. One might think that with all of the uproar that was being caused in the Democratic newspapers over Clark’s misconduct and the release of Baker’s reports that it would be impossible for Chase, Clark, and the Republicans to come out unscathed. However, in the end, Lafayette Baker’s own over-zealousness in his investigation would cause his downfall. 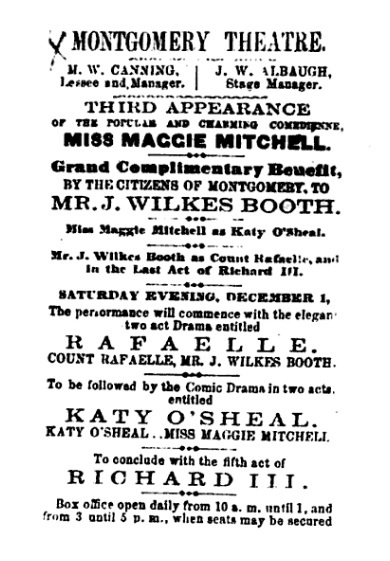 In early May of 1864, right about when the congressional investigation began, one of the Treasury department’s female clerks, Maggie Duvall, suddenly died. 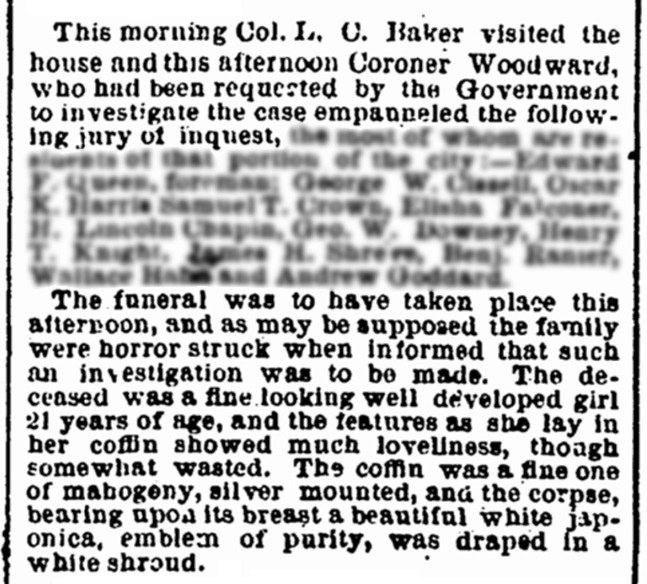 Maggie was described as “a beautiful and attractive young lady, with auburn hair, somewhat freckled.” Baker did not believe this death was a coincidence. He believed that Maggie had been a victim of Mr. Clark and died as a result of an abortion. Baker was able to collect a statement from another clerk that seemed to support this idea. And so, against the heartrending protests of Maggie’s family, Baker had Maggie’s funeral halted and had her body sent to an examining committee of local physicians to check for signs of an abortion. In the end, however, Baker’s gamble backfired. It was found that Maggie had died of consumption and that her “virtue” was still intact. When the press heard the news of what Baker had done, they crucified him for it. His desecration of the poor girl’s body against the wishes of her family and the way he had attempted to sully her reputation became more of an outrage that than Clark’s alleged actions towards the other women. The Republicans were amazingly able to refrain the issue and turn Baker into the enemy. 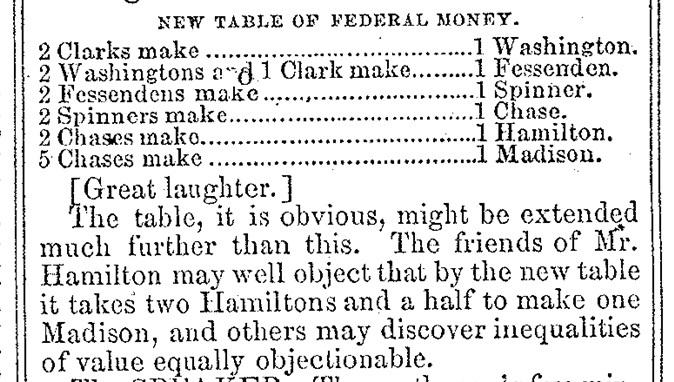 When Garfield and his majority in the congressional committee released their report they alleged that most of the charges against Clark were fabrications created by Baker on behalf of private printing companies in New York who were unhappy with having lost their contracts to print the government’s notes with the establishment of Clark’s bureau. In the end, the committee found that Lafayette Baker, “by the aid of coerced testimony” and with the assistance of “female prostitutes associated with him” had set out to destroy the reputation of Spencer Clark. Lafayette Baker was livid and challenged Garfield to produce any evidence that he was working behalf of printing companies, had coerced any testimonies, or had used female prostitutes to make his case. In truth, all of these charges were groundless but it didn’t matter. Garfield had managed to reframe the issue in the public mind to protect his friends and his party. 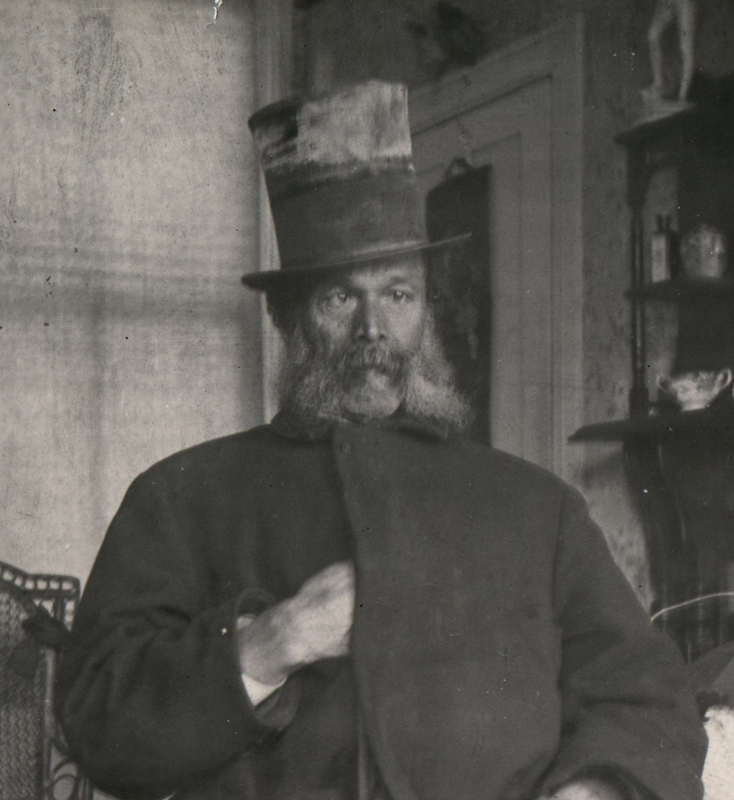 The Treasury scandal just went away which is why Spencer Clark was still in his position as superintendent of the printing division when he was asked to examine Lewis Powell’s boot in 1865. But we’re still not done with Mr. Clark. In fact, we haven’t even touched on the scandal he is most known for and the way in which he changed the course of American currency forever. 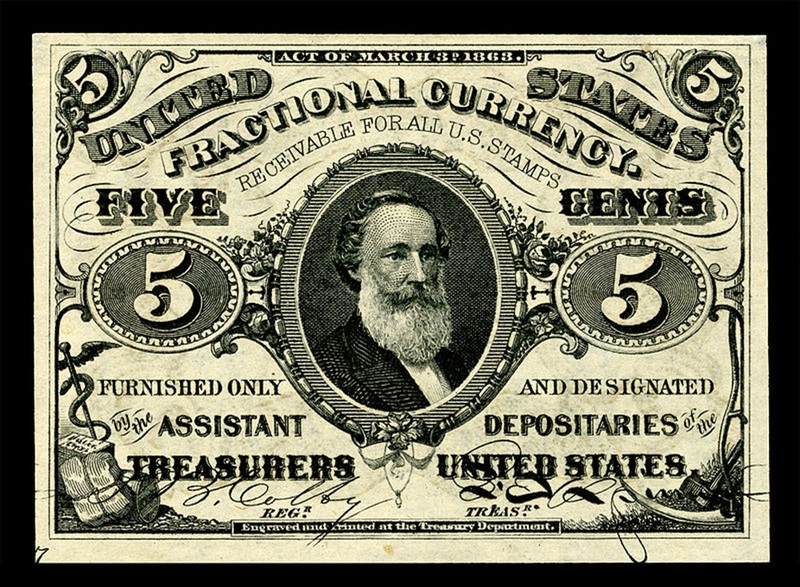 In June of 1864, just after the inquiry over Clark’s sexual misconduct ended, Congress approved the creation of a third issue of fractional currency. The first and second issues, which ranged from 5 cents to 50 cents, had only contained the portraits of Washington and Jefferson. The design process was a lengthy affair with dies having to be created by outside companies. During this time Secretary Chase resigned from his post. He was replaced by Maine Senator William Fessenden who became the new Secretary of the Treasury. 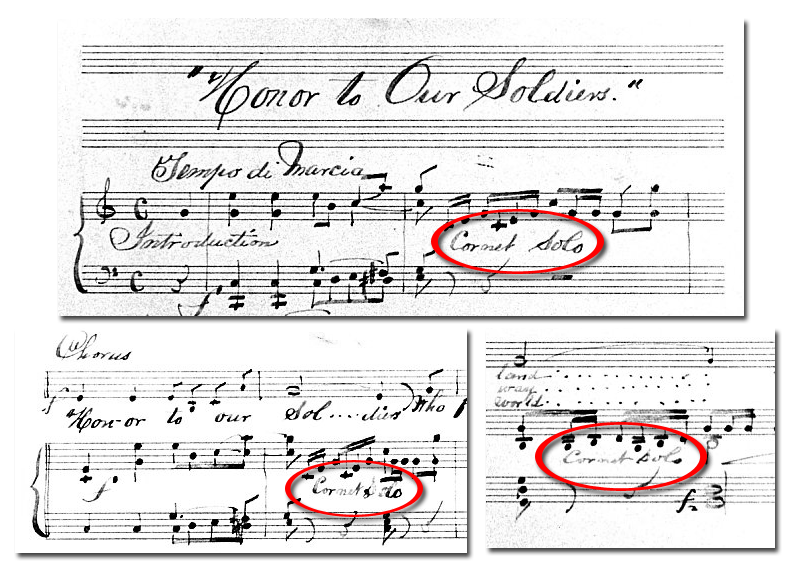 Clark was in charge of the creation of the new fractional notes. It’s possible he was trying to curry favor with his new boss when he approached him with his idea for the portraits that should be placed on the new notes. 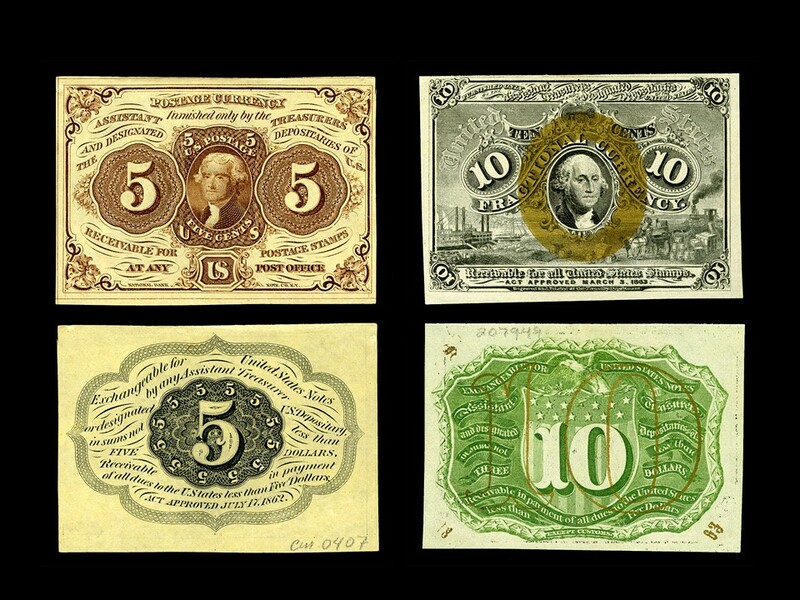 Clark suggested that the notes contain the images of Secretary Fessenden, Assistant Secretary of the Treasury George Harrington, Controller of the Currency Hugh McCullough, and the Treasurer of the United States Francis Spinner. Secretary Fessenden agreed to have his own face on one of the bills but told Clark to ask the other gentlemen for their consent. The other gentlemen were reluctant to the proposition but eventually agreed to it when they were assured by Clark that Secretary Fessenden wanted it so (which was a lie). In time Secretary Fessenden’s portrait appeared on the 25 cent note, and Treasurer Spinner’s portrait went on the 50 cent note. 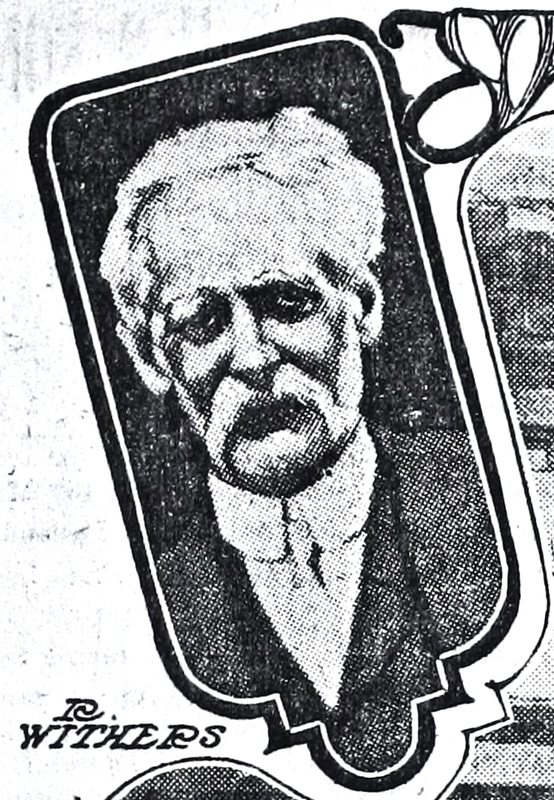 Spencer Clark put his own face on the 5 cent fractional note. 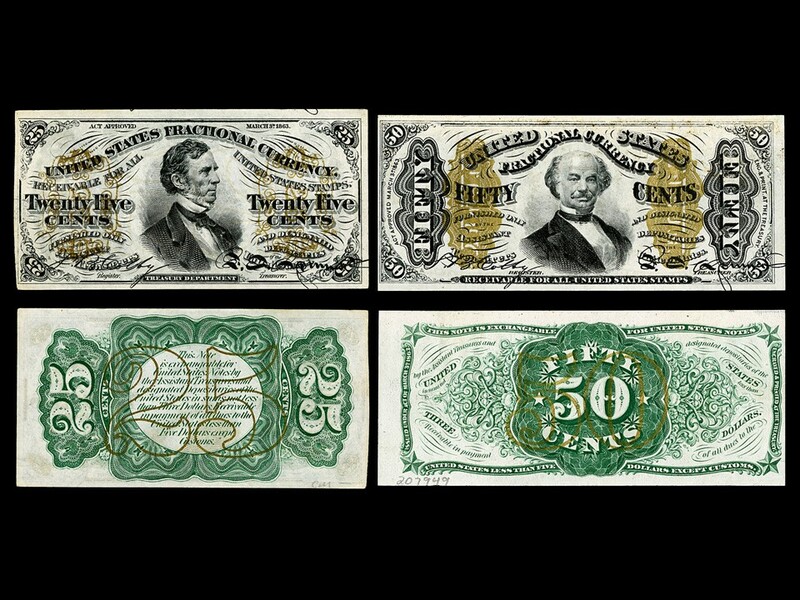 The story goes that the demand for 5 cent notes were so high that the treasury was under a time crunch to release the new issue of these bills. Strangely, or perhaps purposefully, Clark had originally planned for Francis Spinner to be on the 5 cent note but moved him to the less popular 50 cent note. Clark went up to Treasurer Spinner, told him of the almost completed design for the 5 cent note but lamented he had no portrait to put upon it. According to one story, Clark then said, “What head shall we use?” Clark asked Spinner, “the boys have got up a die with my head, what objection is there to using it?” Spinner then allegedly replied, “I have none”. Clark then went off telling people that he had the authorization of Francis Spinner to use his own image and he just so happened to have a die with his own portrait on it ready to go. However the truth is that Francis Spinner did not have the authority to approve designs nor did he claim to. When Secretary Fessenden saw the early proofs of the new 5 cent notes with Clark’s face, he rebuffed Clark. Clark then told him that it was Spinner who had insisted that Clark’s image be put upon the notes due to his years of faithful service to the bureau (which was a lie). The other story surrounding the placement of Spencer Clark’s face states that, when Clark approached Treasurer Spinner inquiring about who to put on the 5 cent note, he said something along the lines of, “Would the likeness of Clark do?” Spinner apparently believed that Spencer was referring to that great American explorer William Clark, of Louis and Clark fame. Spinner agreed to this and it was not until after the proofs were made that it was discovered that there had been a “misunderstanding”. Regardless of what really happened, due to the time constraints and demand for the bills, the production of the 5 cent notes with Spencer Clark’s face was allowed to continue. As you might imagine, when these new 5 cent notes first appeared in public in February of 1866, there was quite an uproar. People had previous talked of the impudence of when Salmon Chase was placed on the $1 notes produced by the treasury and now here were fractional bills containing the images of three more treasury workers. Though George Washington was retained on the 3 cent and 10 cent notes, Thomas Jefferson had lost his place among our nation’s money completely. Thayer humorously demonstrated how teachers all over the country will have to do away with their old table of Federal currency and learn the one currently promoted by the Treasury. 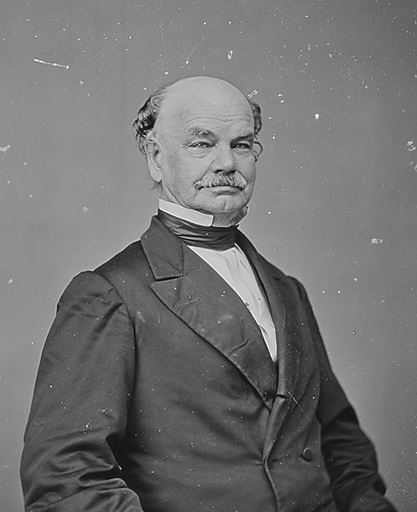 Representative James Brooks from New York, the Congressman who had started the call to investigate Clark two years ago and served as one of Garfield’s token Democrats in the committee could not let Garfield’s aggrandizement of Clark go without a response. This response was met with laughter from the House. Garfield and Brooks then argued for some time about the past investigation into Clark before Brooks brought the attention back to the matter at hand. In the end, the Representatives voted to put Rep. Thayer amendment in. When the amendment arrived in the Senate the only change made was to allow the current plates of notes to be used until their expiration in order to avoid the cost of halting production and purchasing new ones at this time. This was agreed to by both the Senate and House without dissent. Finally on April 7, 1866, the appropriations bill was passed which contained the amendment banning living people from appearing on our money and stamps. This policy still stands today. Coincidentally. 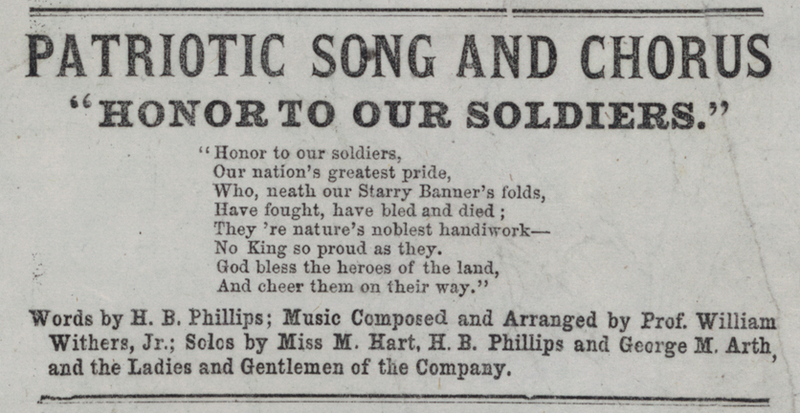 the same appropriations bill that banned portraits of living people on money also approved the expenditure of $100,000 for the purchase of a property in Washington City “for the deposit and safe keeping of documentary papers relating to the soldiers of the army of the United States, and of the museum of the medical and surgical department of the army.” The property’s name? 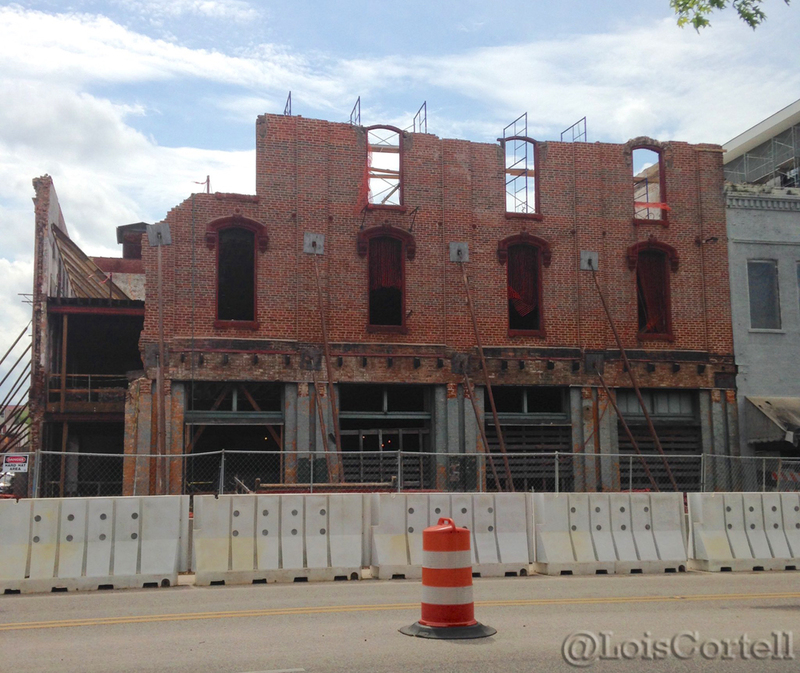 Ford’s Theatre. Spencer Clark survived an investigation into his qualifications. He survived an investigation into his immoral and predatory behavior with his female clerks. Spencer Clark even survived the aftermath of the widespread embarrassment he had brought upon his government by putting his own face on money. However, could not survive one last scandal. 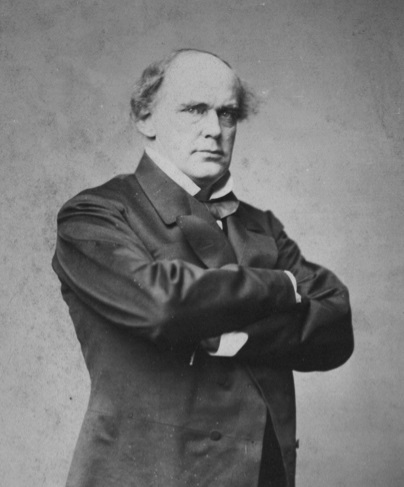 On November 17, 1868, Clark tendered his resignation after an investigative committee found him guilty of…improper book-keeping. After leaving the Treasury, Clark acquired a position in the Department of Agriculture, eventually becoming the head of the Bureau of Vital Statistics. 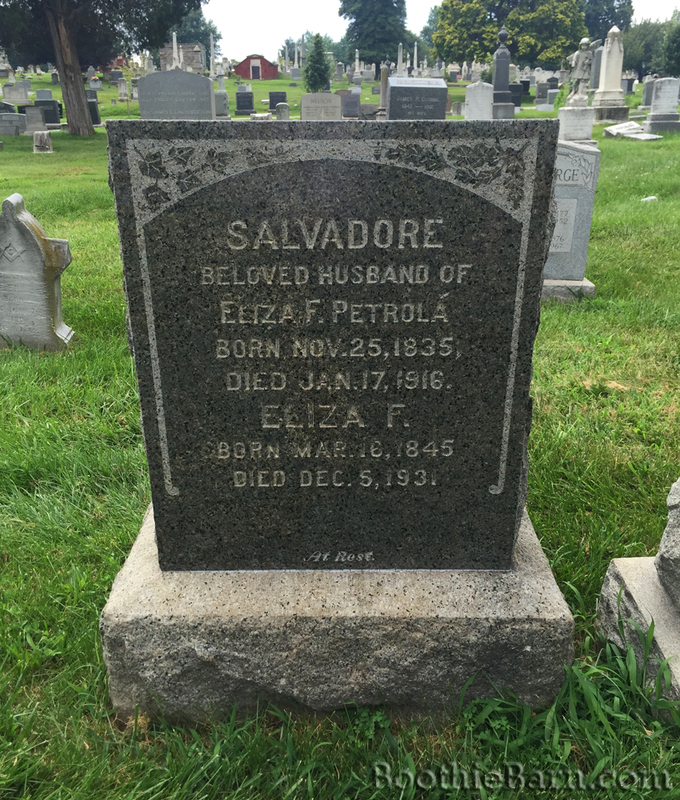 Clark died on December 10, 1890 and is buried in Hartford, Connecticut next to his wife. Spencer Clark was a failed businessman, a fake engineer, the Superintendent of the Bureau of Engraving and Printing, a scumbag sexual predator, and man who put his own face on money. That’s quite a scandalous hidden history. 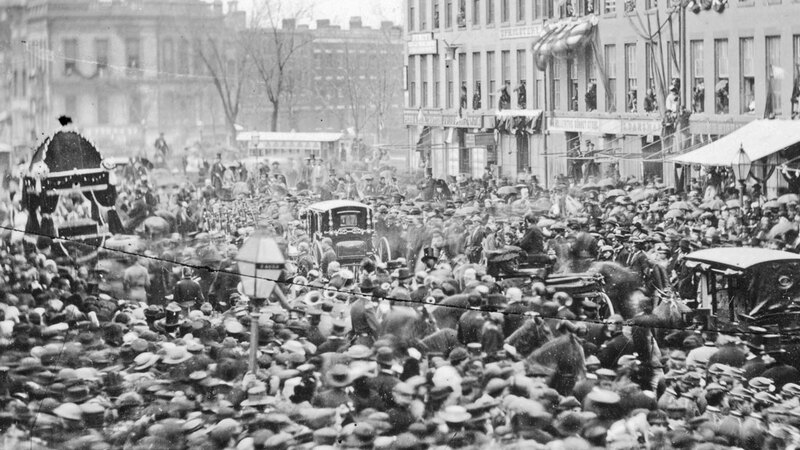 On Saturday, April 15, the news of Lincoln’s assassination in Washington, D.C. reached the residents of Buffalo, New York. The entire city followed the rest of the nation with massive demonstrations of mourning. Black crepe was draped over public buildings and the residents wore black armbands and cockades. Many private homes in the city choose to mimic their public counterparts by similarly displaying mourning emblems and decorations. In Niagara Square, an affluent residential neighborhood in Buffalo, every single house was draped in black crepe and flying the American flag with the exception of one. As of Monday, April 17, this home was still without mourning decorations, much to the chagrin of other residences who thought the lack of adornment demonstrated disrespect to the fallen President and the grieving nation. That evening a group of residents decided to take matters into their own hands. According to newspaper reports, a small group of men threw either ink or mud on the front of the offending home. This blackened the front of the home, effectively forcing it into a display of mourning. This incident would seem a minor and insignificant occurrence had it not been for the well-known nature of the house’s owner. The Buffalo resident who had his house blackened by his neighbors for failing to demonstrate an appropriate amount of mourning over Lincoln’s death was ex-President Millard Fillmore. Fillmore was the 13th President of the United States, having inherited the office after the death of Zachary Taylor in 1850. Fillmore served out the remainder of Taylor’s term before he was replaced by President Franklin Pierce in 1853. During the Civil War, Fillmore had initially been supportive of President Lincoln’s efforts and the ex-President even commanded a corps of above 45 years-old home guardsmen named the Union Continentals. These guardsmen, too old for regular army service, trained to defend the Buffalo area in case of Confederate attack. As the war went on, however, Fillmore became less support of Lincoln’s administration and the ongoing costs of war. In 1864, he spoke out against the continuing bloodshed and endorsed the Democratic candidate George McClellan, hoping the democrats would end the war and return the Southern states into the Union even with slavery still intact. This betrayal of Lincoln turned Fillmore into a Copperhead and greatly diminished his influence thereafter. 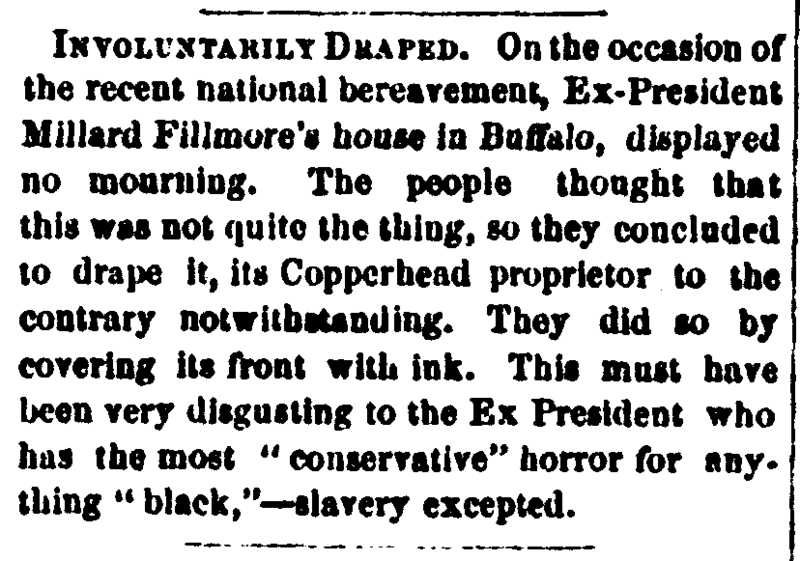 The Republican papers in Buffalo never forgave Fillmore for this and recalled his own administration’s commitment to enforcing the Fugitive Slave Act. This is the reason why there was so much backlash to Fillmore’s lack of mourning decoration on his home on April 17, 1865. In papers nationwide, Fillmore was attacked for his impropriety, with many papers taking jabs at his politics. In the end, there is no evidence to show that Millard Fillmore meant any disrespect toward’s Lincoln’s memory. 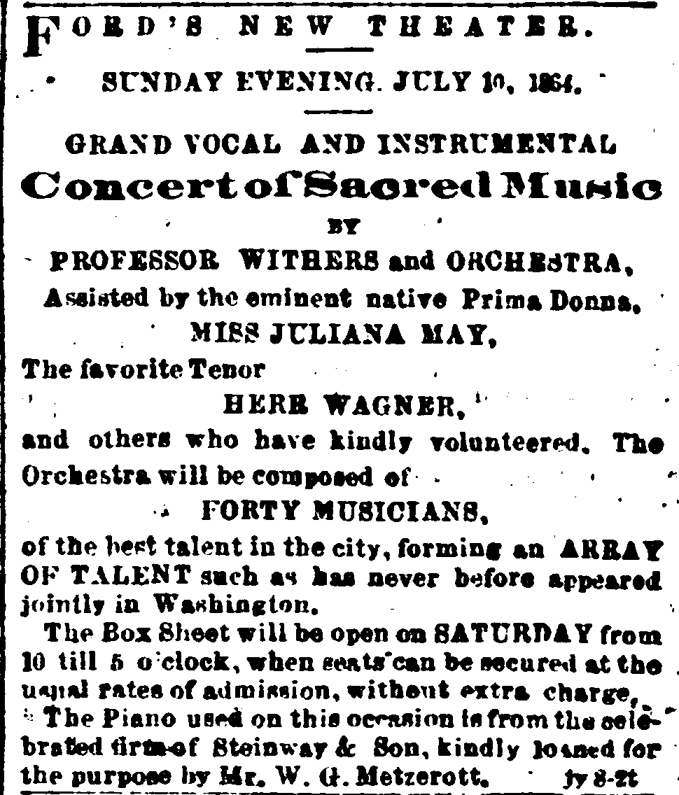 Even strongly Republican newspapers, when hearing of the circumstances regarding the vandalism and Fillmore’s response, condemned the actions of the mob. 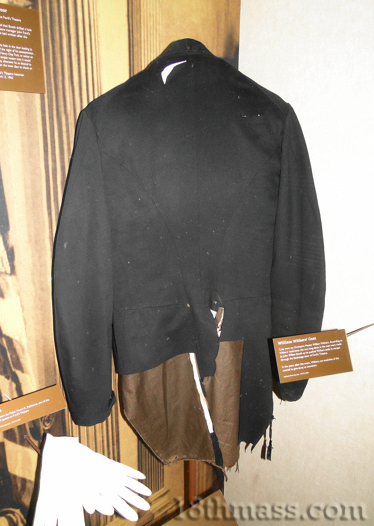 Despite this, many still believed that Fillmore’s crime was of having the reputation of being a Copperhead and failing to publicly mourn Lincoln’s assassination quickly enough. 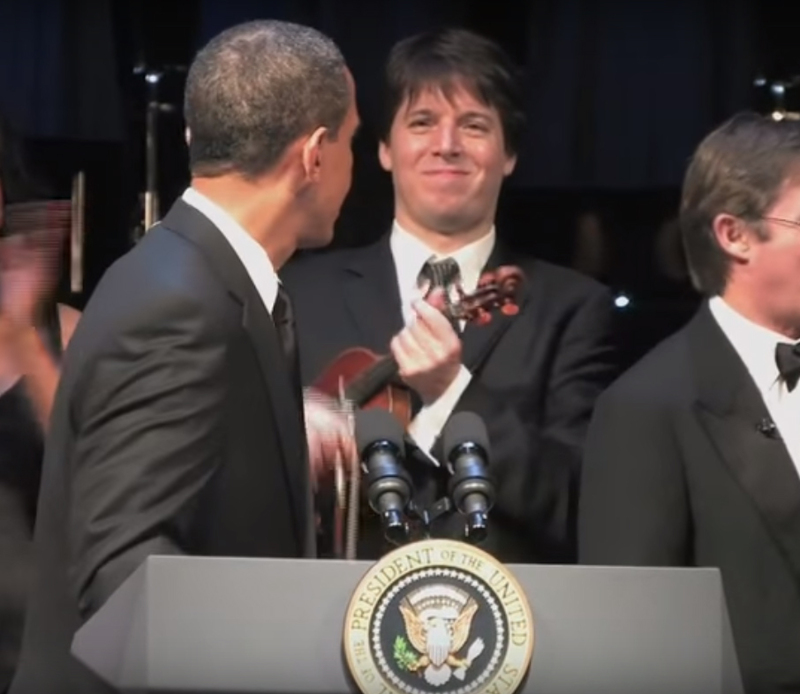 A similar situation to this occurred with another living ex-President, Franklin Pierce. 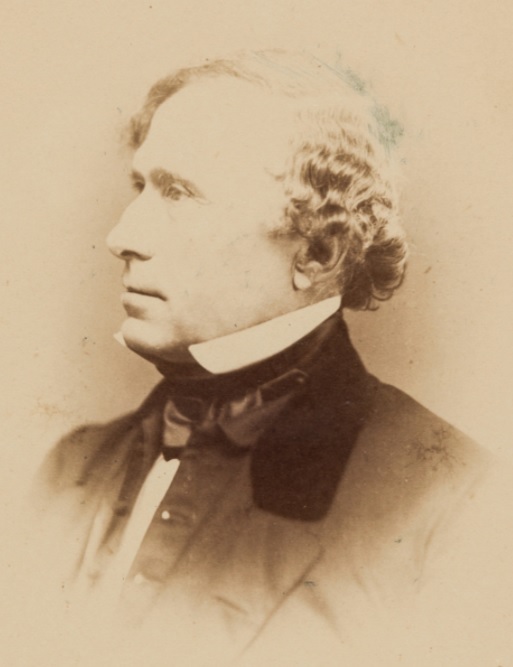 After only a few minutes of talking, Franklin Pierce was able to disperse the angry crowd and prevent any vandalism such as was suffered by Fillmore. 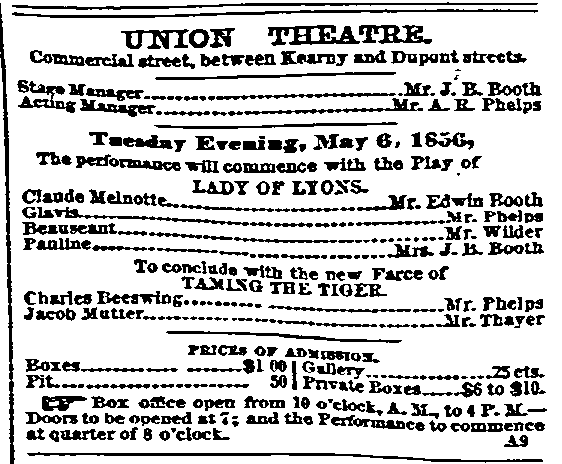 Fillmore, himself, did not appear to make any public speeches of grief until May 9th. During the interim, however, he did take part in the funeral proceedings for the late President. When Lincoln’s funeral train arrived in Batavia, NY at 5:18 am on April 27, 1865, Millard Fillmore was at the station to board it. 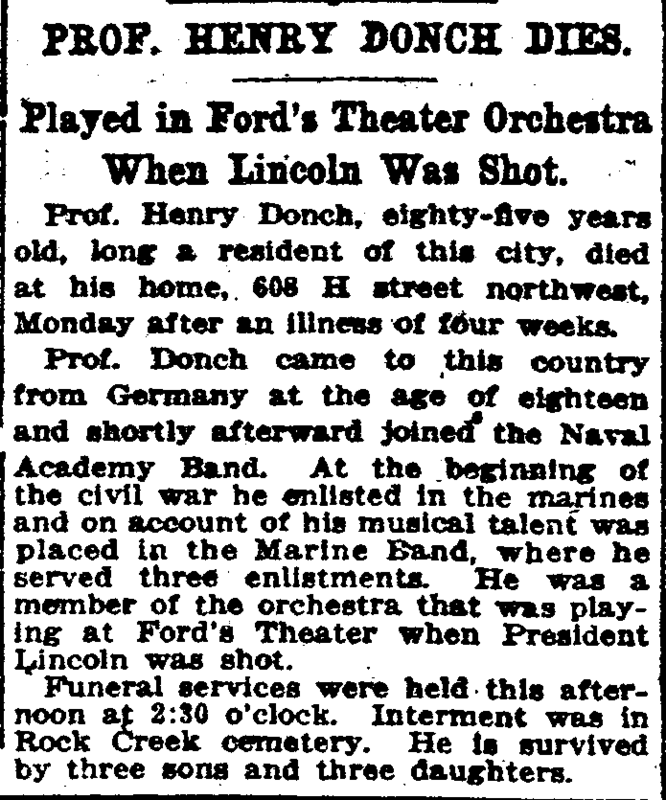 He was on board along with other dignitaries, who had previously been picked up in Rochester, when the funeral trained arrived in Buffalo at 7:00 am. 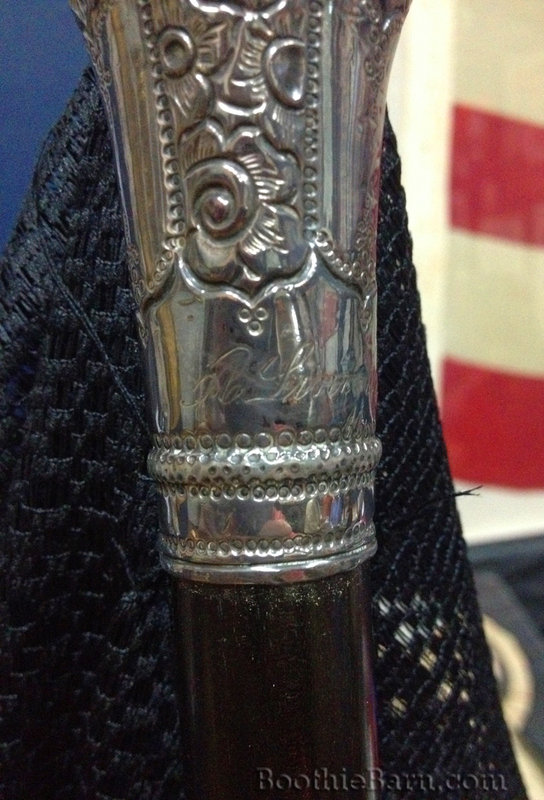 During the course of that day, Millard Fillmore was part of the funerary cortege and events. Fillmore took part in viewing Lincoln’s body as it laid in St. James Hall until 8:00 pm when the coffin was closed and the procession returned to the railway depot. At 10:00 pm, the funeral train departed, with Fillmore remaining in his hometown. An estimated 40,000 – 50,000 people viewed Lincoln’s remains in Buffalo that day including 28 year old future President Grover Cleveland. 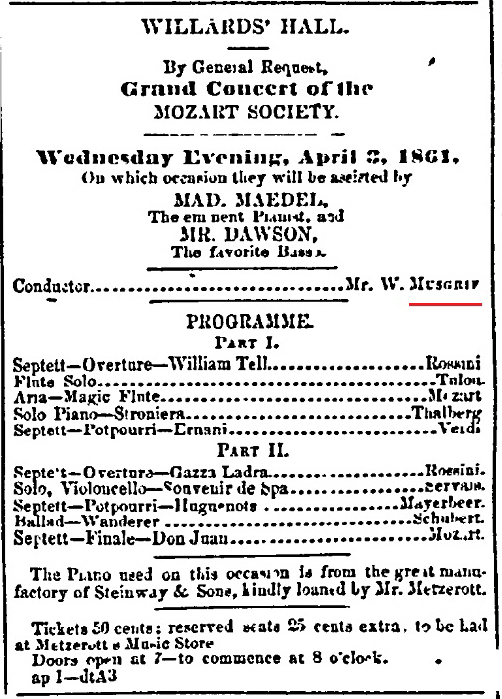 It isn’t until May 9, 1865, that we have the first recorded sentiments from Millard Fillmore regarding the assassination of Lincoln. 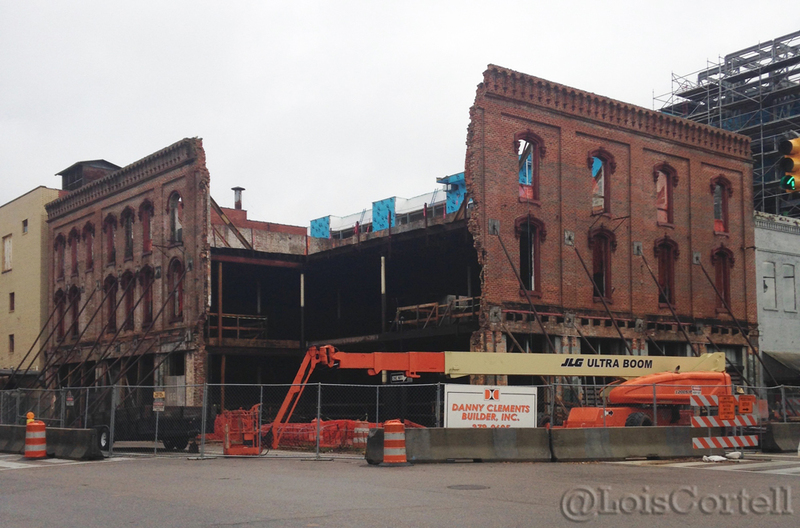 The remarks come from the minutes of the Buffalo Historical Society a group that Fillmore took a vested interest in. 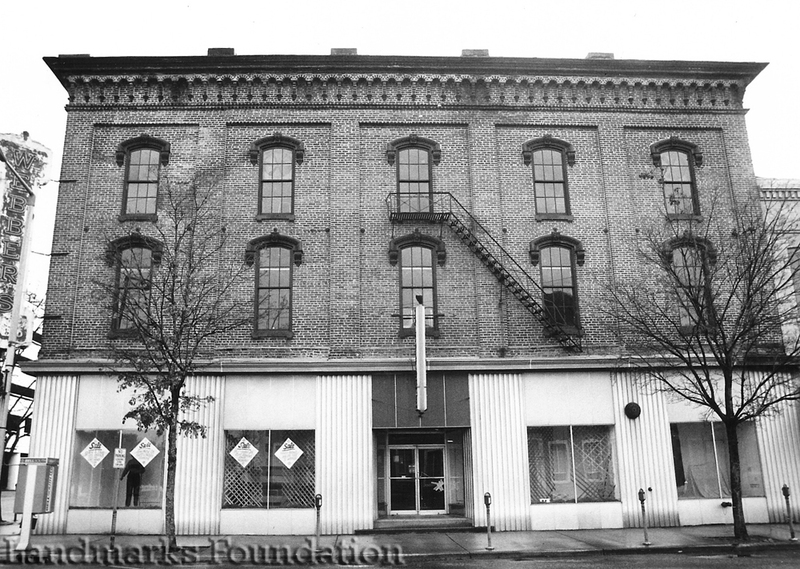 Like many other organizations at the time, the Buffalo Historical Society enacted a resolution in their minutes expressing their grief at the national tragedy. Before the BHS adopted their resolution, Fillmore asked to say a few words on the record. In his statement, which is recorded in full below, Fillmore expresses his sense of loss at Lincoln’s death but spends more words speaking hopefully of President Andrew Johnson, a man who had ascended to the Presidency through the death of another – a situation well known to Fillmore. 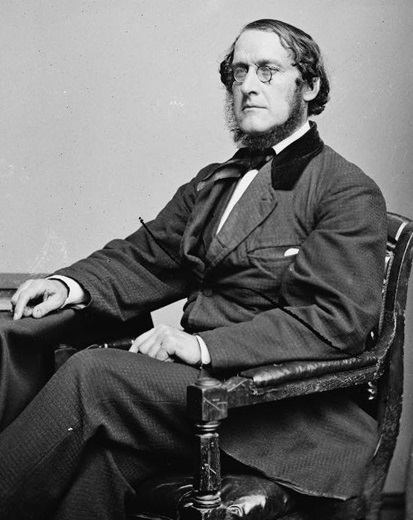 “As this resolution offered by Mr. Allen, is entertained by the society, and as he has been pleased to refer to me in his remarks, I trust that I shall be pardoned for saying a few words before the question is taken on its adoption. Perhaps no member of this society appreciates more fully than I do, the difficult task which President Lincoln had to perform, and I am sure none can deplore his death more sincerely than I do. 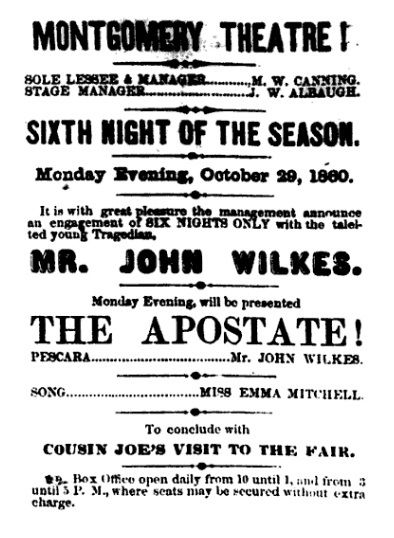 It is well known that I have not approved of all acts which have been done in his name during his Administration, but I am happy to say that his recent course met my approbation, and I had looked forward with confident expectation that he would soon be able to end the war, and by his kind, conciliatory manner win back our erring and repentant brethren and restore the Union. His assassination has sent a thrill of horror through every heart, depriving the Chief Magistrate of his life at a moment when party hostility was subsiding, and his life was doubly dear to his countrymen, and it has plunged a nation into mourning. The chief assassin has already been summoned to the bar of a just God to answer for his crime, and I hope and trust that every one who participated in this awful tragedy will be legally tried, before the constitutional courts of the country, and if found guilty, will meet the punishment which the law prescribes for his offence; and that no innocent person will suffer from prejudice or passion. I need hardly add that I cordially concur in this resolution as a just tribute of respect to the memory of the deceased. But while I express my sense of the great loss which this country has sustained in the death of President Lincoln at this particular juncture, I would not be understood as implying a want of confidence in his successor. I can sympathize with him in the embarrassments with which he is surrounded, and the difficulties which he has to encounter in being thus suddenly called to the helm of state amid the perilous storm of an unparalleled rebellion. It appears to me that the storm has nearly spent its fury, and the angry waves are gradually subsiding, and gleams of sunshine already illumine many a dark spot. This fact greatly adds to the labors and responsibilities of the Government. Statesmanship must now take the place of arms. But yet I have hope. From all that I know of President Johnson I think he has talent and integrity; and if he will hear and then follow the dictates of his own good sense and calm judgment, without prejudice or passion, he will succeed. But I must say that I am pained to see so little consideration manifested even by well-intentioned friends, as to rush upon him at this time with addresses, requiring a response from him, thus engrossing his valuable time and distracting his mind, when every consideration of friendship, patriotism and propriety should forbid it. The first caution he has to observe is to steer clear of the factions that are trying to get possession of him for their own selfish purposes — to carry out some favorite theory of reconstruction, or to gratify some feeling of revenge. I am happy to see that he receives all politely but keeps his own counsel, and has the prudence and good sense not to commit himself in offhand speeches as to his future policy; but leaves himself at liberty, after due consideration, to take advantage of circumstances as they arise. In my humble opinion, he who controls the destinies of a nation, especially at a time like this, should never indicate his future policy until it is fully matured in Cabinet council, and he is ready to put it in operation; nor should he promise an office until he is ready to confer it. Fillmore would become an ally for Andrew Johnson and supported the 17th President’s Reconstruction policies. This support likely had some roots in Fillmore’s own difficulties in succeeding a deceased President. 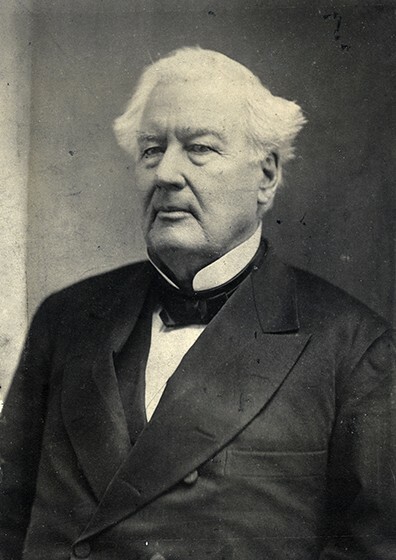 When President Johnson visited Buffalo on September 3, 1866, Millard Fillmore was selected to be the lead dignitary to greet him and welcome him to the city. 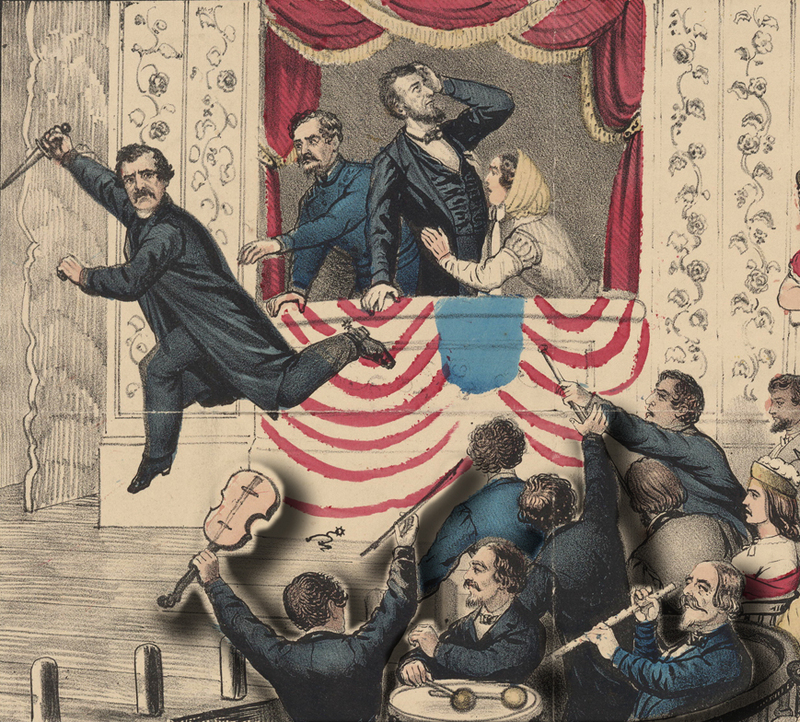 In the aftermath of Abraham Lincoln’s assassination, grief gripped the country. This grief manifested in a variety of ways. While many sought solace through individual and group demonstrations of mourning, other were so filled with confusion and conflict at the loss of the President that they struck out in anger. The forceful blackening of the 13th President’s home was as much an expression of grief as was the Lincoln funeral train itself. Saddened and confused residents around the nation lashed out at those in their communities who they knew to be critical of Lincoln in the past. For a time, many faced severe punishment for a lack of appropriate grief at Lincoln’s death, whether warranted or not. The blackening of Fillmore’s house may be regrettable but it perfectly demonstrates one manner in which the country attempted to cope with the loss of Lincoln. The inspiration for this post comes from the wonderfully done, Railsplitter Podcast. Each week, the Railsplitter Podcast delves into the life of Abraham Lincoln. 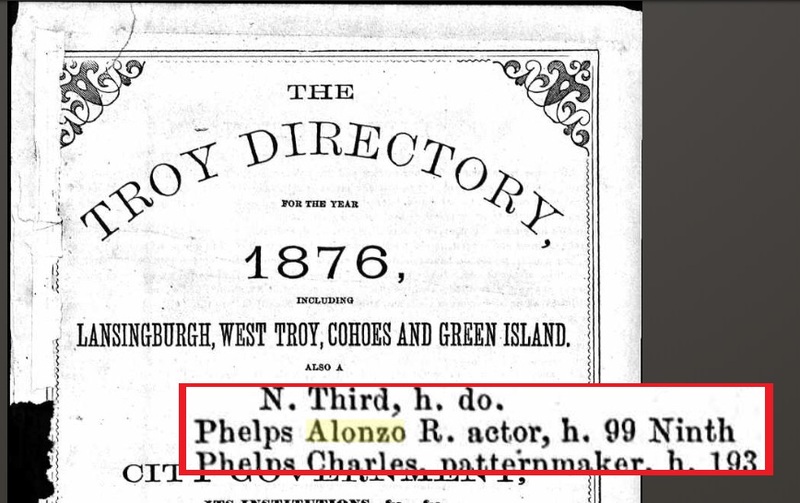 The three hosts are able to make Abraham Lincoln accessible to all with the use of knowledge and a good dose of humor. In that vein, one of the hosts of the podcast, Railsplitter Nick, has an ongoing “feud” with President Millard Fillmore. Why Nick dislikes Fillmore so much, I don’t really remember. However, he manages to find a way to diss Fillmore in almost every episode of the podcast. In preparation for an upcoming appearance on an assassination related episode of the Railsplitter Podcast, I wanted to find a way to connect Fillmore to Lincoln’s death. That is what led me to research and compose this post. I hope you enjoyed and/or hated it, Nick! Tomorrow, June 21, 2017, Kate and I are taking to the road on what we’re calling the Great Boothie Road Trip 2017 ©. It will be quiet here on the blog for next couple of weeks as we drive out to see family, friends, and of course, Boothie sites from our Lincoln assassination maps! 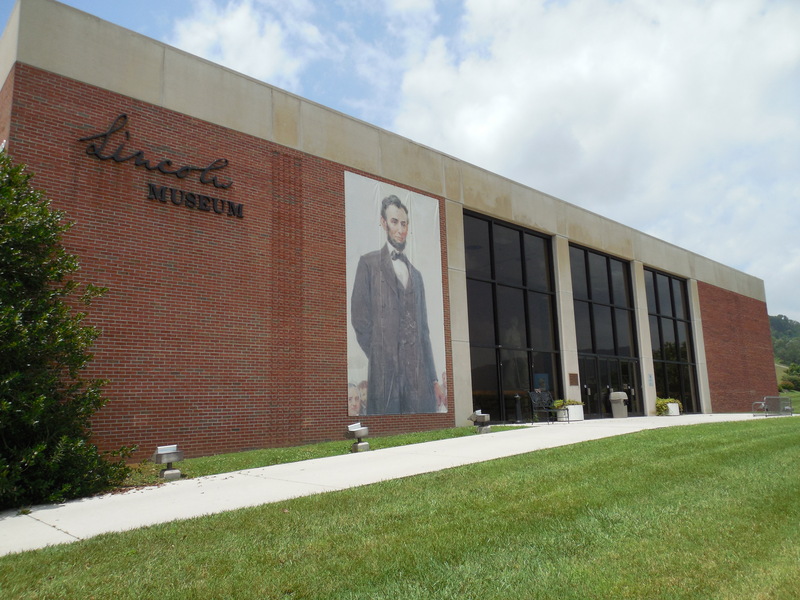 A week from now we’ll be in Springfield, Illinois where I will be presenting at the Abraham Lincoln Presidential Library. As a follow up to my speech on John Wilkes Booth last summer, this year I will be speaking on the four conspirators who were executed for their involvement in Lincoln’s death . For those of you who live in the area and might be interested in attending this speech, the ALPLM has free tickets available to those who register. See this site to reserve your tickets: https://alplmfoundation.tix.com/Event.aspx?EventCode=978923 For those of you not in the area, the speech is scheduled to be recorded and I will let you all know when it is put online. As excited as I am to be speaking at the Lincoln library once again, that speech will only be a small part of our multi-state road trip with many fascinating detours and stops. While we’re hoping to put up a full post about our adventures when we get back, I encourage you all to follow our exploits as we go via Twitter. You don’t have to be signed up for Twitter to see what Kate and I are tweeting. You can either visit my Twitter page, which is accessible by clicking here, or by watching the Twitter bar on this website. For desktop users, the Twitter bar should be somewhere on the right hand side and for mobile users, it should be near the bottom of the page. For those of you who do have Twitter, we are planning on using the hashtag #BoothieRoadTrip if you want to follow along. Well, you’ll have to excuse me now because Kate and I have a scheduled departure time of 4:00 am tomorrow. It’s time for us to get some rest. We hope you’ll follow us as we experience the Great Boothie Road Trip 2017 ©! 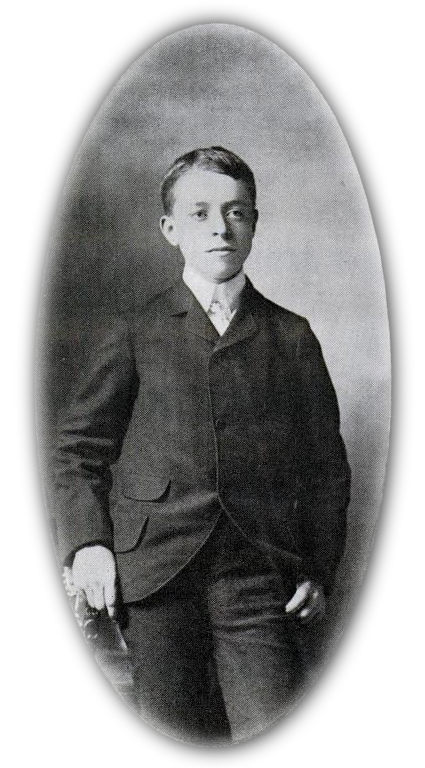 On September 26, 1901, Fleetwood Lindley was attending his school in Springfield, Illinois when he received a note sent by his father. The note told the 14 year-old to leave school immediately, hop on his bicycle, and ride quickly to Oak Ridge Cemetery. When Lindley arrived at the cemetery he found a group of twenty men and two women gathered around the outside of Abraham Lincoln’s tomb. Over the past 15 months, the final resting place of President Lincoln had undergone massive renovations. During that time, the coffins of the Lincoln family had been placed in a temporary crypt next to the tomb. With the restoration complete, the coffins were officially being moved back into the tomb. While the coffins of Mary Todd, Willie, Tad, and Eddie Lincoln, would be placed in the wall of the tomb, it had been ordered by the last surviving Lincoln son, Robert Todd, that his father’s coffin be placed in a cage ten feet deep where it would be encased in concrete for all time. This seemingly extreme burial procedure was due in part to the almost successful grave robbing of Lincoln’s remains in 1876. Though Robert Todd Lincoln had requested that his father’s coffin not be reopened at the time of the final burial, those present on September 26, 1901 could not pass up the chance to look upon the face of the Great Emancipator. Under the guise of verifying that the body of Abraham Lincoln did, indeed, lay inside the coffin, the decision was made to open part of it. 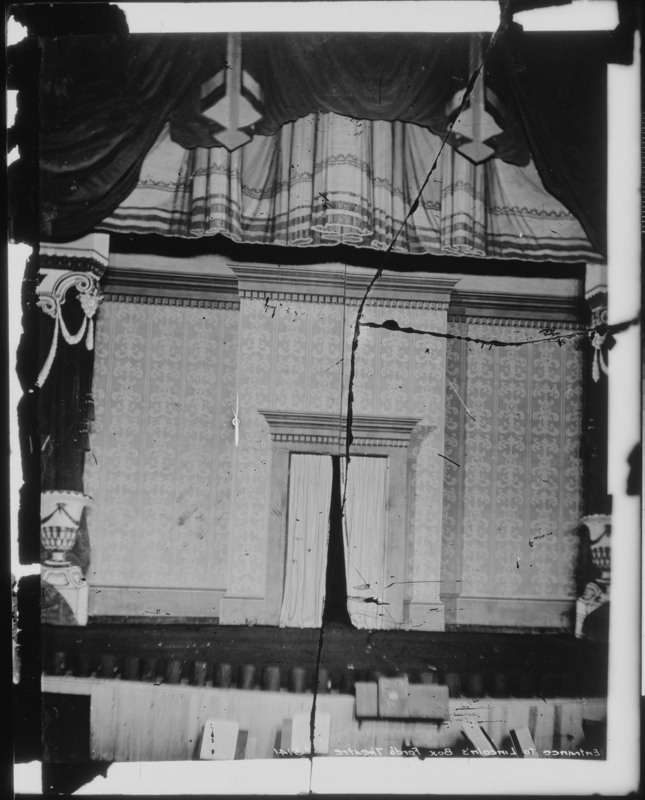 Lincoln’s coffin had been opened four times previous to this, the last of which having occurred in 1887. 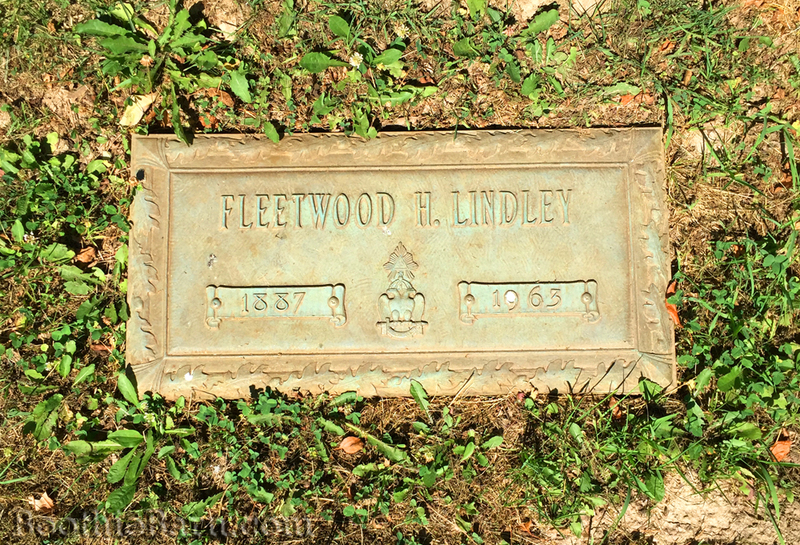 Fleetwood’s father, Joseph Lindley, had been present when the casket was opened back in 1887 and likely wanted his son to share in the experience this time. A piece of the lead-lined coffin was chiseled away. 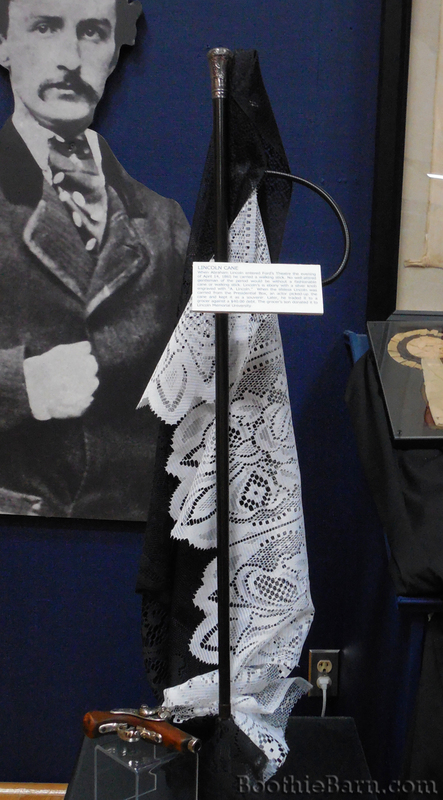 Fleetwood Lindley joined the others present and took his turn gazing upon Lincoln’s face for the last time. After the identification was complete, the coffin was resealed, and Lincoln was placed into his concrete tomb. Gazing upon the face of Abraham Lincoln made an indelible impression on Fleetwood, who was the youngest person present that day. He would describe the scene several times over the course of his life. He lived his whole life in Springfield, starting his own floral business which he ran for over 40 years. 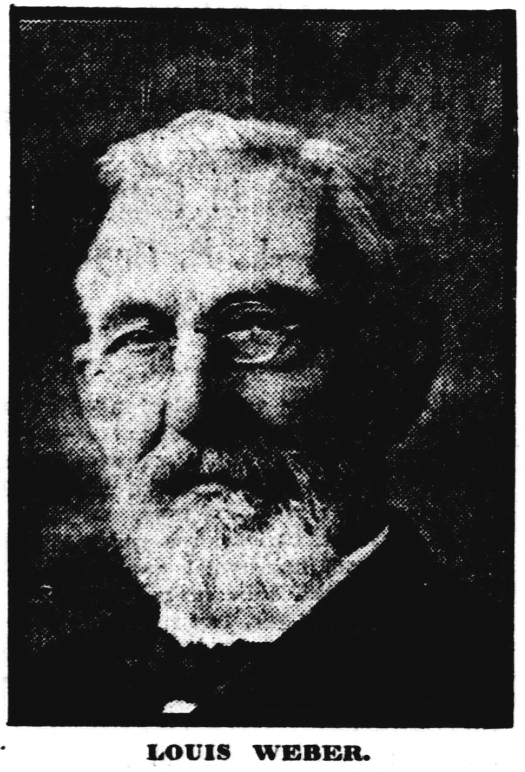 He was a frequent speaker around Springfield and later served as the president of the board of managers for Oak Ridge Cemetery. He could often be found greeting visitors to Lincoln’s tomb and telling his story about viewing Lincoln’s remains. 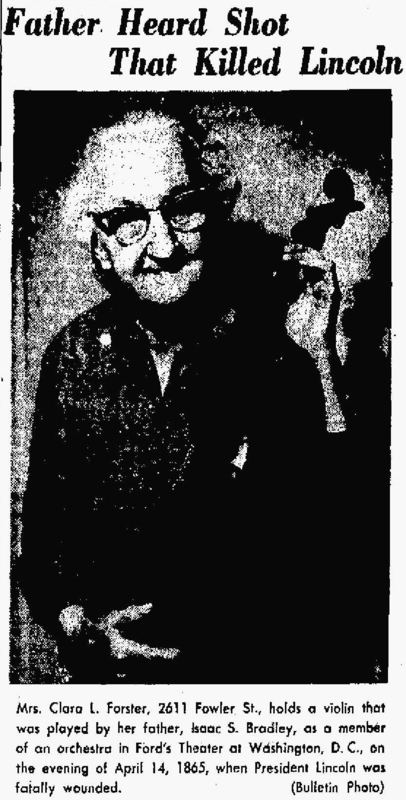 While Fleetwood Lindley was well known around Springfield, he achieved wider recognition when he was highlighted in Life Magazine on February 15, 1963. At the time of his interview, Lindley was the last surviving member of the group of 23 that had viewed Lincoln’s remains. 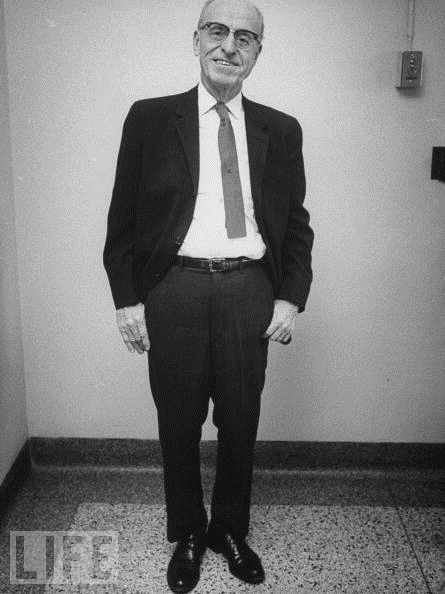 He gave his interview to the Life Magazine reporter from his room at St. John’s Hospital in Springfield where he was awaiting a gall bladder operation. 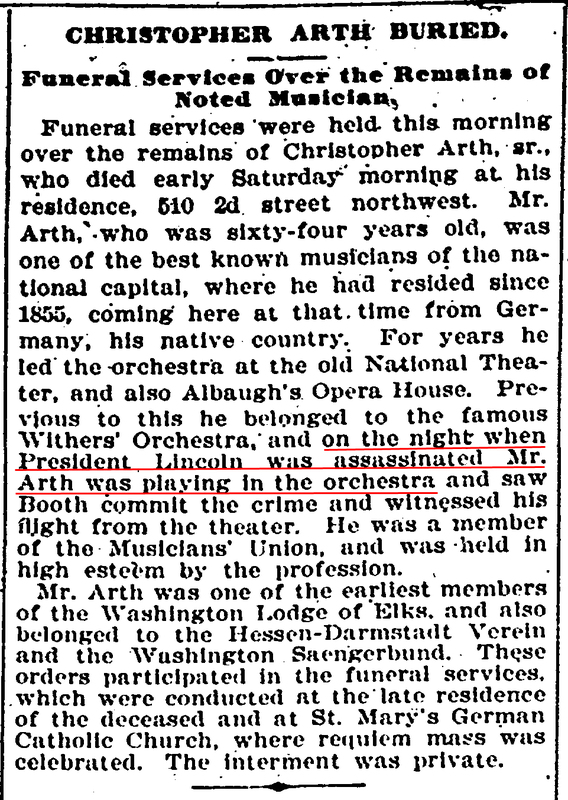 The Life Magazine article describing the final identification of Abraham Lincoln can be read, in full, here. The interview for Life Magazine proved to be the last one Fleetwood Lindley ever gave. He passed away only a couple of days later on January 31*, 1963 at St. John’s Hospital. He was 75 years old. 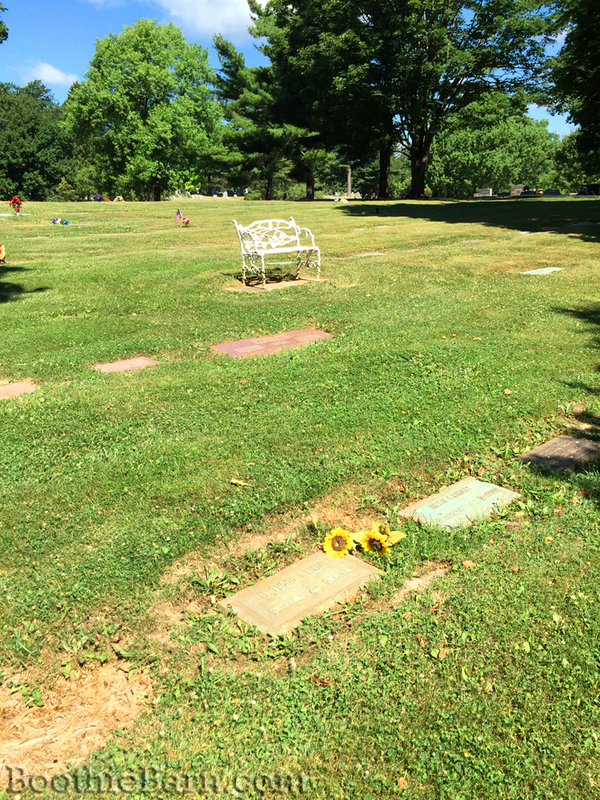 Fleetwood Lindley, the last living person to have seen the face of Abraham Lincoln, is buried not far from the Lincoln Tomb in Springfield’s Oak Ridge Cemetery. * Many online sources, including Wikipedia and FindaGrave, give Lindley’s death date as February 1, 1963 due to that date having been given in the Life Magazine article. However, his obituary and death record clearly indicate he died at around 9:30 pm on Thursday, January 31, 1963.